When searching for your next "go to" bracelet, look no further than the Seven Strand Bracelet. 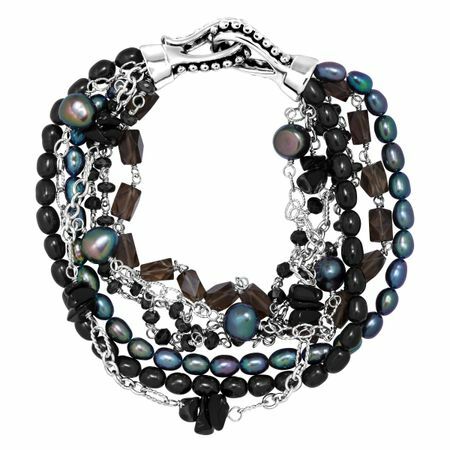 The multi-color pearls feature a creamy, pastel look and the chiseled onyx pieces strung between sterling silver links give off a chic, fashionable finish. Piece measures 7 inches in length, and features an unique click-top clasp.